CALIFORNIA (Dec. 1) – Behind another 20-point effort by junior Amy Johns (McKeesport, Pa./McKeesport) and a double-double by senior Kayla Smith (Elkins, W.Va./Elkins), the No. 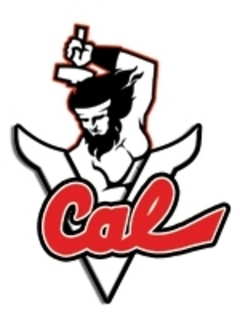 24 Vulcans earned a 64-48 win over District of Columbia on Wednesday night at Hamer Hall. With the victory, the California University of Pennsylvania women’s basketball team improves to 4-1 this season after winning its last three games (all at Hamer Hall). Meanwhile, UDC drops to 4-2 this year. Johns tied her season and career high with 21 points on 7-of-15 shooting from the floor and six-of-seven from the free-throw line. She also posted seven rebounds against the Firebirds. In five games this season, Johns is averaging 16.6 points after scoring 9.0 points as a redshirt sophomore last year. Smith tallied her fourth double-double of the season behind 19 points and 17 rebounds on Wednesday. She made 8-of-14 from the floor and added two assists, three steals and two blocks. In the victory, Smith became only the third player in school history with 1,000 career rebounds. She also moved past Hall of Famer Sandy Stodolsky (1986-90) for fifth place in career scoring with 1,629 points. Junior guard Danielle Luckett (Chicago, Ill./James Hubert Blake (Md.)) finished with nine points, five steals, four assists and two blocks. Fellow guard Ryah Gadson (McKeesport, Pa./McKeesport) added seven points, three rebounds and three assists in the victory. Leading by one point in the first half, the Vulcans posted a 13-2 rally over six minutes to take a 25-13 lead with 6:49 left in the first half. During the run, Johns and Smith combined to score 11 of the 13 points and Cal U allowed UDC to make only one shot during the span. The Firebirds responded with a run of their own to cut the deficit to 31-28 at halftime. Holding a 48-40 lead with 8:26 left in the game, Cal U mounted a game-clinching 10-0 run after forcing UDC into five turnovers in six possessions. During the rally, Smith scored eight of her 12 second-half points and capped the drive with a lay-up at the 5:52-mark, 58-40. The Vulcans later stretched their lead to as many as 19 points, 62-43, on a jumper by Johns with 4:09 remaining. For the game, the Vulcans shot 44.4 percent (24-of-54) from the field and just 55.0 percent (11-of-20) from the free-throw line. In comparison, the Firebirds shot at just a 26.8 clip (19-of-71) from the floor and 7.7 percent (1-of-13) from beyond the arc. Cal U out-rebounded UDC by a 45-42 margin and committed a season-high 34 turnovers, including 19 in the second half. Graduate student Niqky Hughes led UDC with 16 points and 12 rebounds (eight offensive), while senior Lillian McGill finished with 10 point and eight rebounds after battling foul trouble in the second half. Cal U is idle for over a week before returning to action at the Susan G. Komen Shoot for the Cure Classic hosted by IUP on Dec. 11-12. The Vulcans will face West Liberty and Shippensburg at the two-day weekend tournament.